Protect and preserve your documents! Pack of 100 crystal clear 8-1/2” x 11” hot laminating pouches. 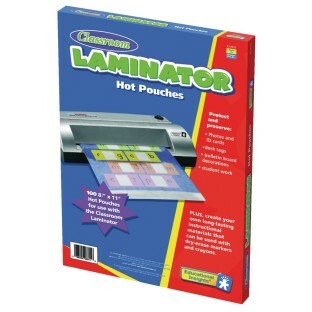 For use with Classroom Laminator (LR3135). Use for photos, ID cards, desk tags, bulletin board decorations, student work, and more. Superior Lamination enhances color as it protects.